Back in December, Verizon kicked off a promotion that allowed subscribers on the XL and XXL plans to get 2GB of extra LTE data per month by upgrading their phones or activating a new line. The original campaign ended in mid-January, but Verizon has just brought it back for a limited time. The same rules apply as back in December-January. 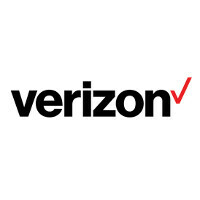 New or existing customers have to activate or upgrade a phone on Verizon's equipment installment plan and subscribe to Verizon's XL or XXL plans, and the carrier will upgrade the monthly data quota by 2GB per line. The bonus can be obtained for up to ten lines and can be shared among devices, which makes this a tempting offer for families. Verizon's XL $80 plan usually packs 12GB of high-speed LTE data, but the quota is raised to 14GB per line through the new campaign. Likewise, Verizon's $100 XXL plan will contain 20GB, up from 18GB without the bonus. Customers who get a lock on this offer will retain the LTE data bonus of 2GB per month for as long as they remain active on their existing plan or upgrade to a pricier one. Note that this offers stacks on top of Verizon's existing campaign to promote carrier switching, one that can grant customers up to $650 to switch. Verizon will also throw in free video streaming through its own g90 video platform, a service that is available only to Verizon's postpaid subscribers. If you're tempted by Verizon's new offer, make sure to check out our detailed Verizon vs AT&T vs T-Mobile vs Sprint guide, where you'll be able to learn more about how the largest carriers in the US stack up aginst each other. Great idea if you hate your money. I feel bad for people who have no choice but to use Big Red. I have been using "Big Red" since 2003 and I have no complaints. Don't feel bad for me. If Verizon brought back a truly unlimited data plan, I would consider switching to them. But at $15 for each additional gig...I can't justify ditching my $80 truly unlimited plan with T-Mobile. They're like Google, a virtual monopoly. 100 additional gigs on Verizon would cost $1,500+. It's insane. I used 90 gigabytes last month with AT&T unlimited and on pace for 105 this current cycle. No thank you. Nice tease though. To me, it seems like Verizon might just be scared of the fact that T-Mobile is gaining millions of customers so quickly. I wouldnt be surprised if they eventually come out with an 'unlimited data for FiOS customers' similar to what AT&T did.